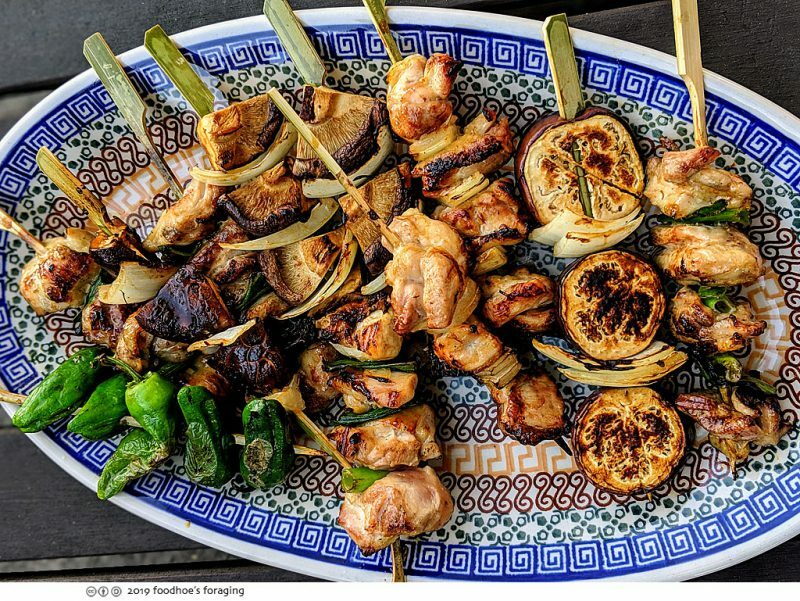 I have always loved Yakitori, bite sized pieces of chicken grilled on skewers that can be found on the menu of most Japanese restaurants. Kushiyaki is the generic word for all things skewered and grilled, including meats, vegetables, seafood and so much more… We recently made a New Years feast of Kushiyaki and grilled everything we could think of, chicken, beef, lamb, veggies, rice balls, bacon wrapped mochi, we even cut up hotdogs and skewered them for my cousin Megu’s boys. 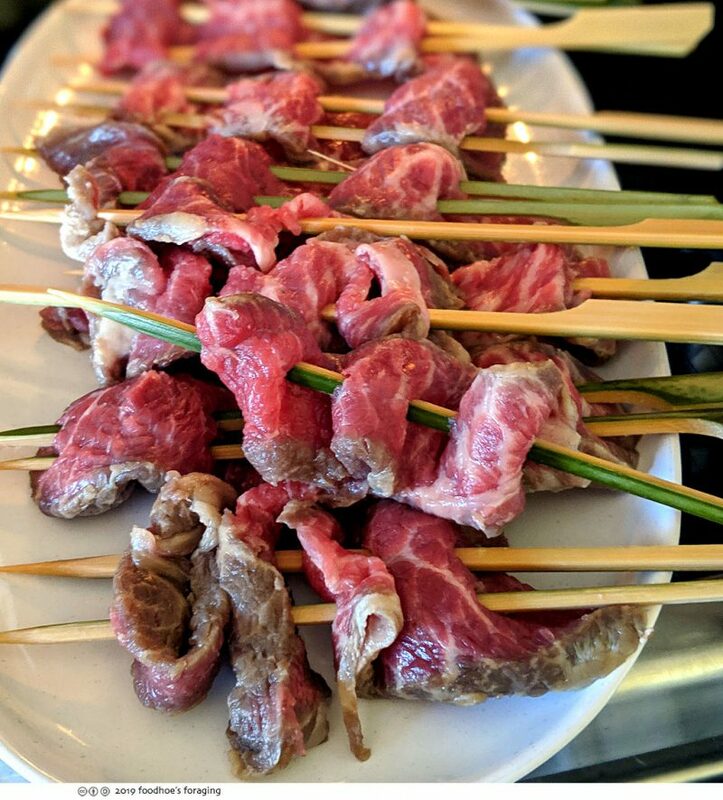 My cousin works at a nearby Japanese Izakaya style restaurant, Itami Ramen in Oakland, where we recently enjoyed a fabulous Yakitori pop up, by the Yakitori Guy. I definitely need to tell you about that meal later because it really inspired this meal! Anyways, the restaurant very graciously let us borrow their yakitori grill, which is a special long, narrow trough that we filled up with binchotan, a special Japanese charcoal which burns hot and clean. It takes quite a while for it to heat up but once it’s hot it stays that way for a long time. 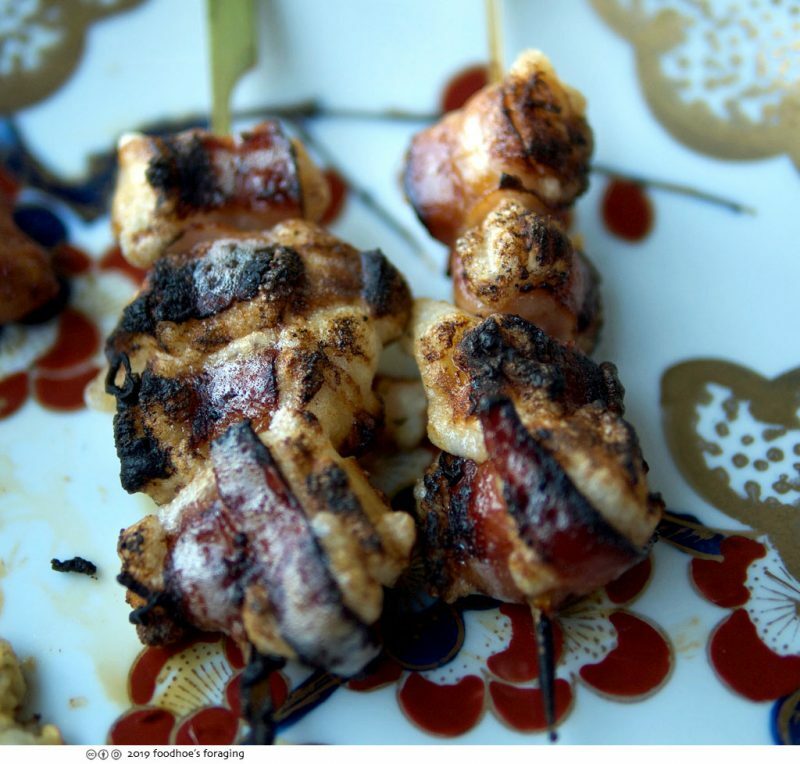 With Kushiyaki, there are basically two flavors: salt or sauce. Salt in Japanese is shio and sauce is tare, which is similar to a teriyaki sauce made with soy sauce, mirin (a type of rice wine used in cooking), sake, sugar, green onion, ginger and garlic that you simmer until it reduces to a thick glaze. 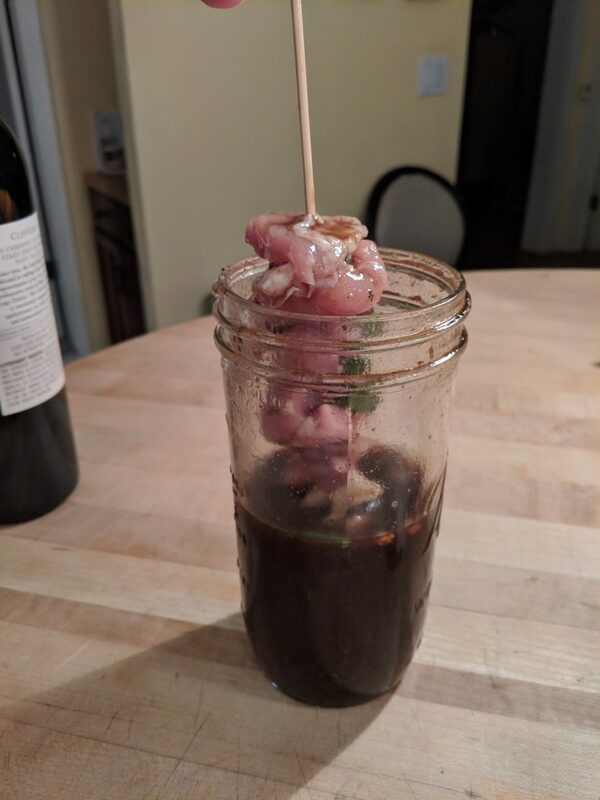 My cousin said the best method is to put the tare in a deep jar and dunk the skewers in, and she was right, this was much easier than brushing it on and the juices from the skewers mixed into the sauce adding their delicious flavors. 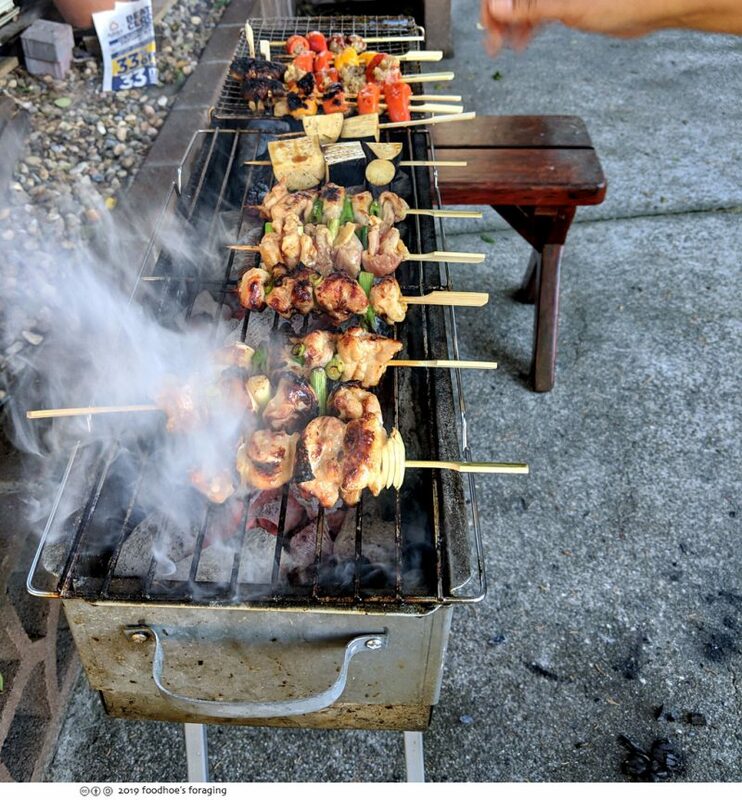 Grilling yakitori is not difficult, but you have to pay close attention to each skewer as it cooks over the fire. Cooking yakitori is a two-part grilling technique: first you char the meat, then you caramelize the sauce you brush on the meat. 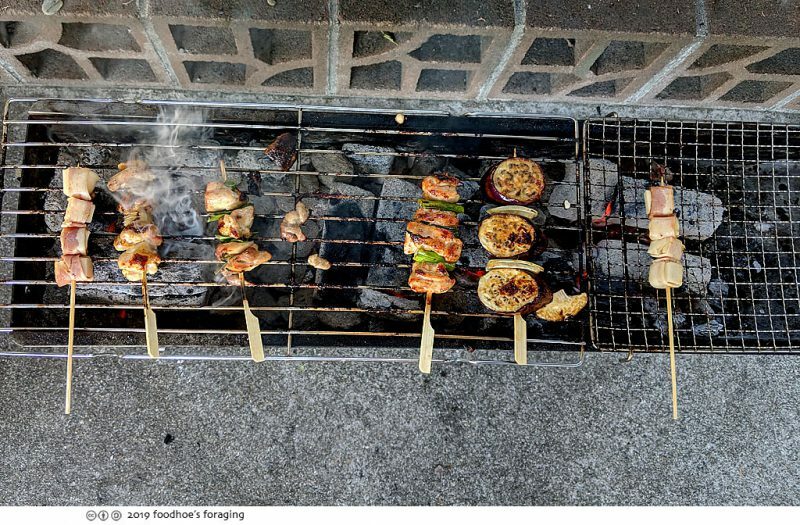 We learned pay attention and to move ingredients around on the grill so that they cooked by a combination of direct grilling (right over the flames) and indirect (off the hot flames, where they can cook more slowly). 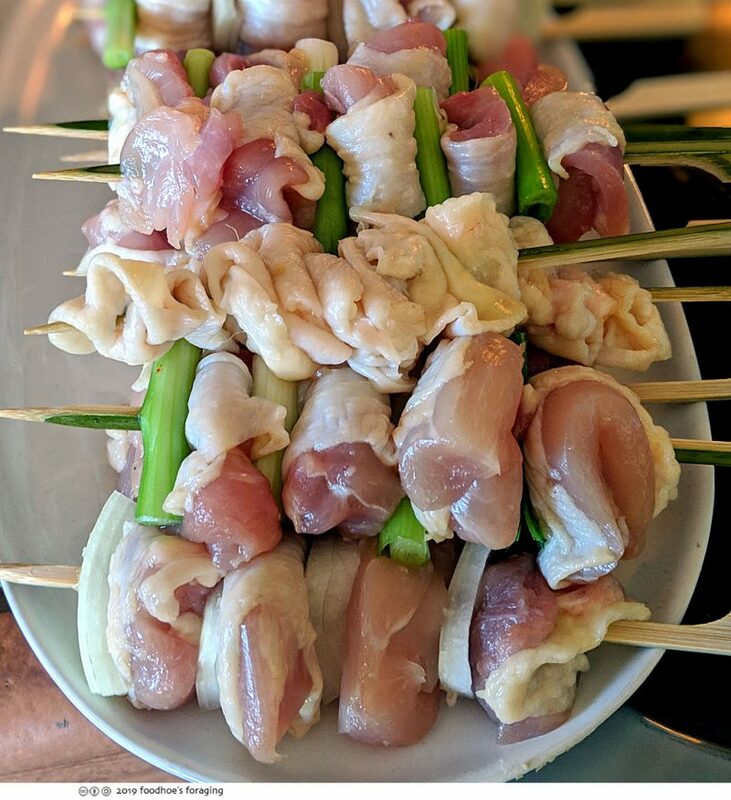 Here is a pile of chicken skewers, (yakitori) and made some with just chicken skin. The ones made with green onion are called Negima Yakitori and I also tucked in onion because I like the flavors it adds. One of the best was thin slices of richly marbled wagyu flank steak, it was tender and juicy and was gobbled up just like that…. 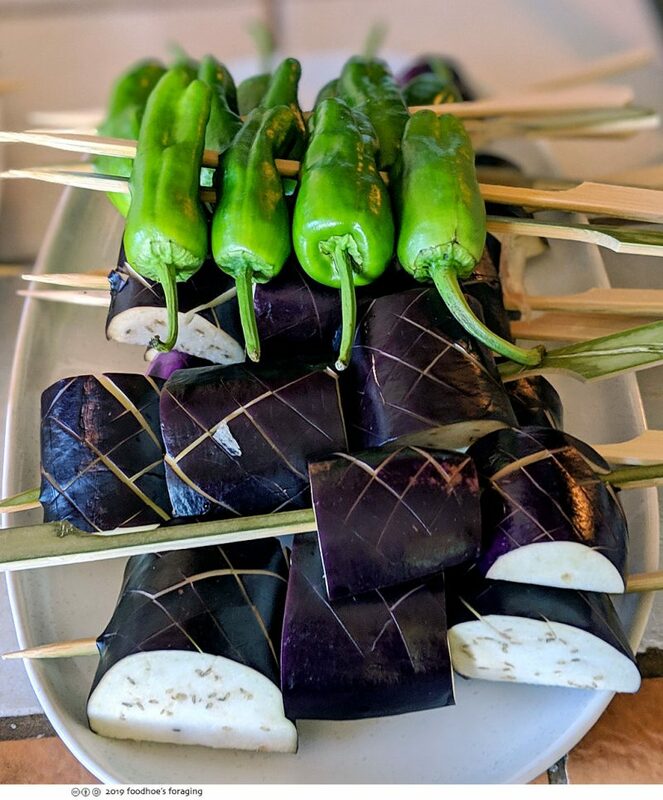 Our favorite vegetables on skewers are shishito peppers, shiitake mushroom (pictured elsewhere) and eggplant. They are so delicious both brushed with olive oil and sprinkled with salt, or dunked in the tare. 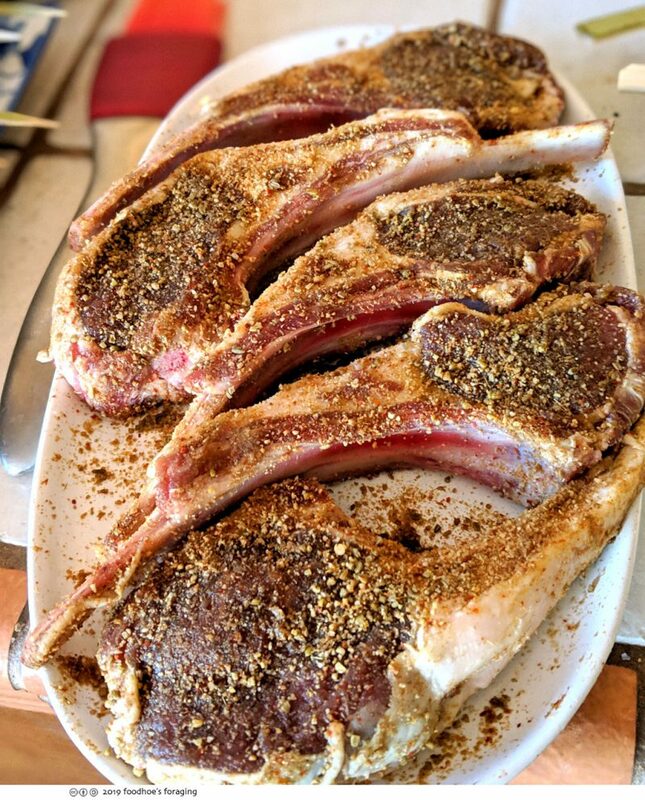 Although not on skewers, these cumin dusted lamb riblets have a built in handle, and were so amazing after grilling over charcoal. They were tender, juicy and the smoky char made them taste so, so delicious! 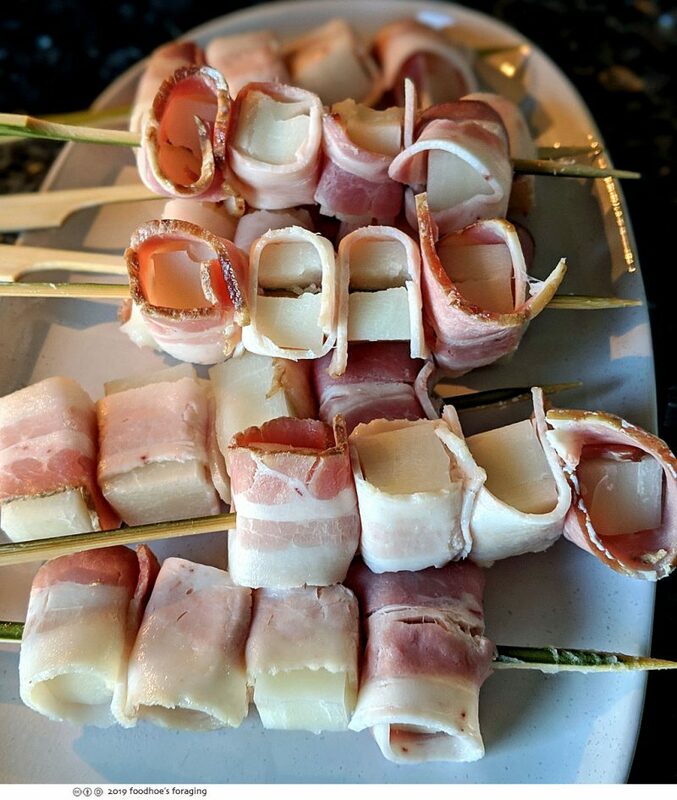 The bacon wrapped mochi is one of my favorites. I used thin cut bacon, wrapped around the rectangle shaped mochi that comes in plastic wrapped packages. I found an awesome recipe here. I dunked them into the tare while cooking, and continued brushing on the first so that it develops a delicious salty lacquer. 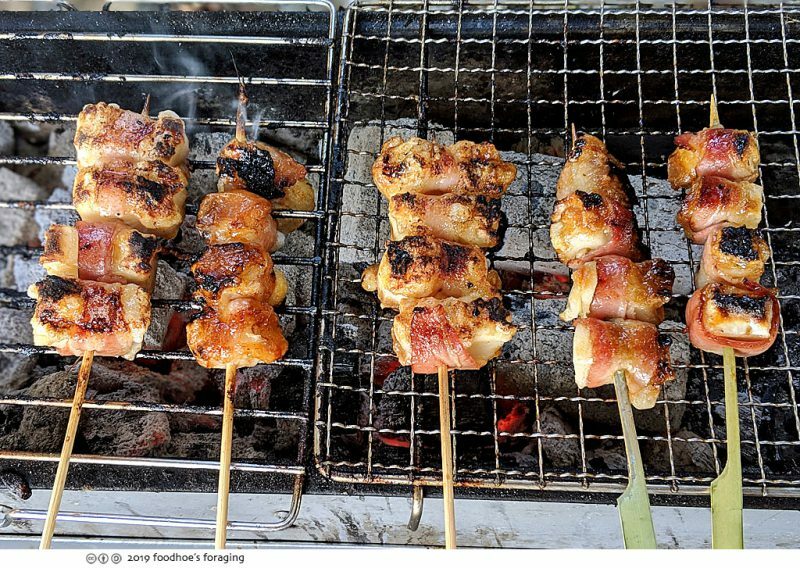 It required frequent turning for a long time to get the bacon crispy and the mochi needed to get toasted and heated all the way through until it became soft inside. 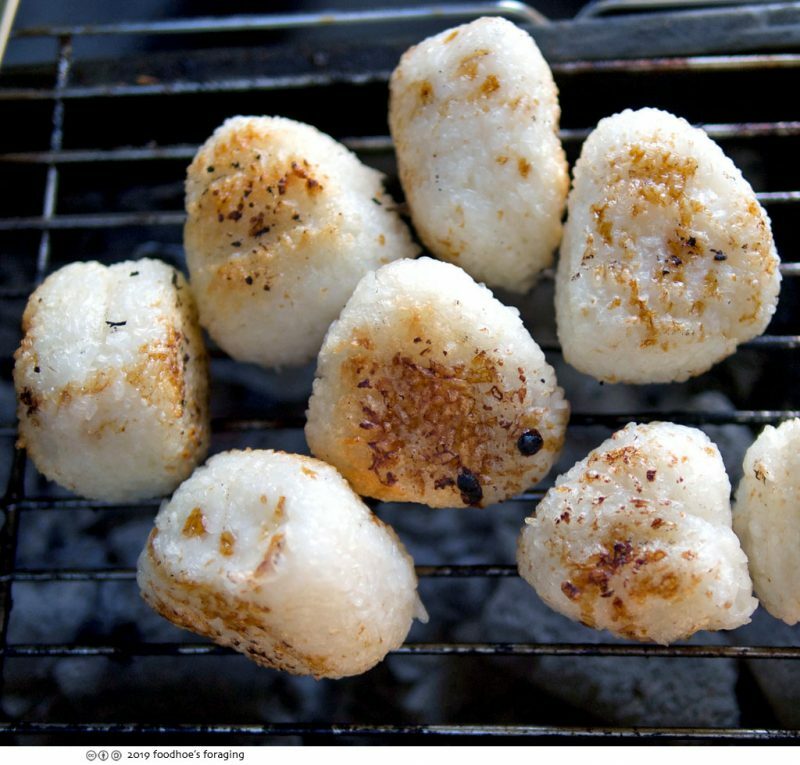 Yaki onigiri (seasoned rice balls) took a long time to develop a good crisp crust all the way around. We brushed them with the tare and the toasted crust was magnificent! I made a filling of minced shrimp with green onion that I stuffed into mushroom and shishito peppers based on a recipe that I found on Sunset magazine. 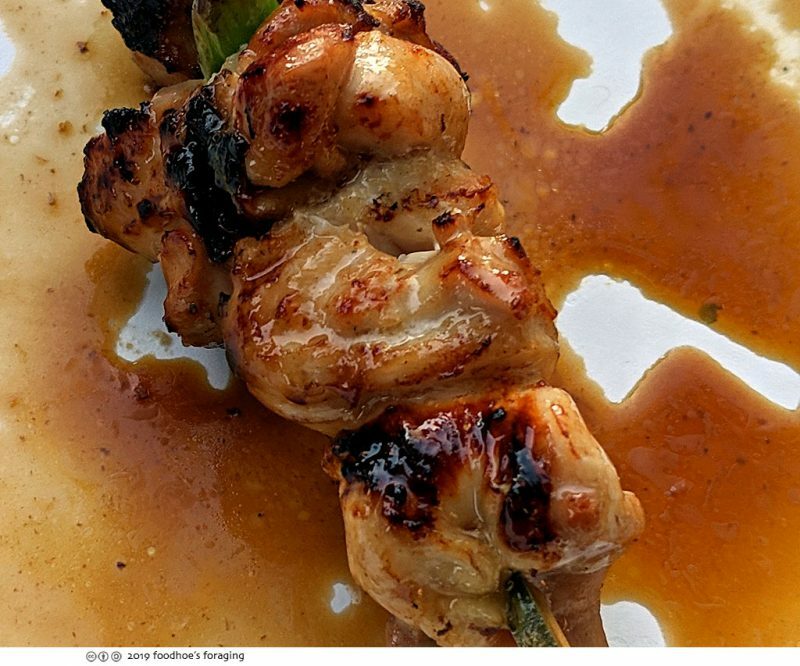 Closeup of the yakitori, lightly charred and the sauce is caramelized. 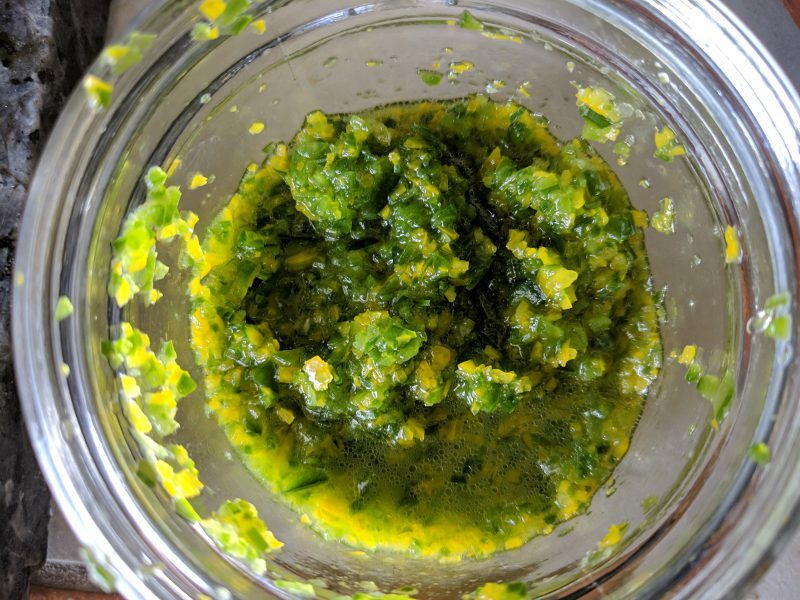 I made this Yuzu Kosho from zest of the 5 yuzu that grew on my tree this winter, it is a magical condiment made simply with yuzu zest, jalapeño peppers and salt that adds incredible depth and brilliance to everything it touches. a feast indeed! all of those charred bits make my mouth water. 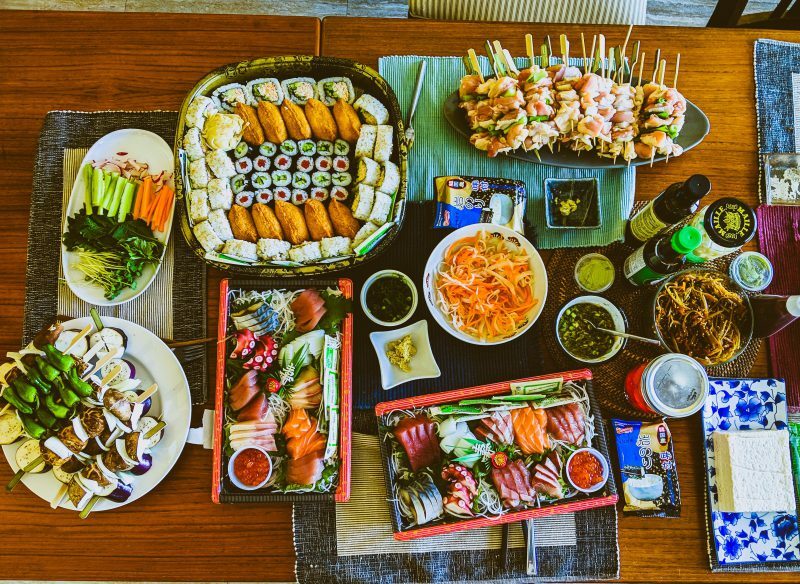 Wow – that looks fantastic! 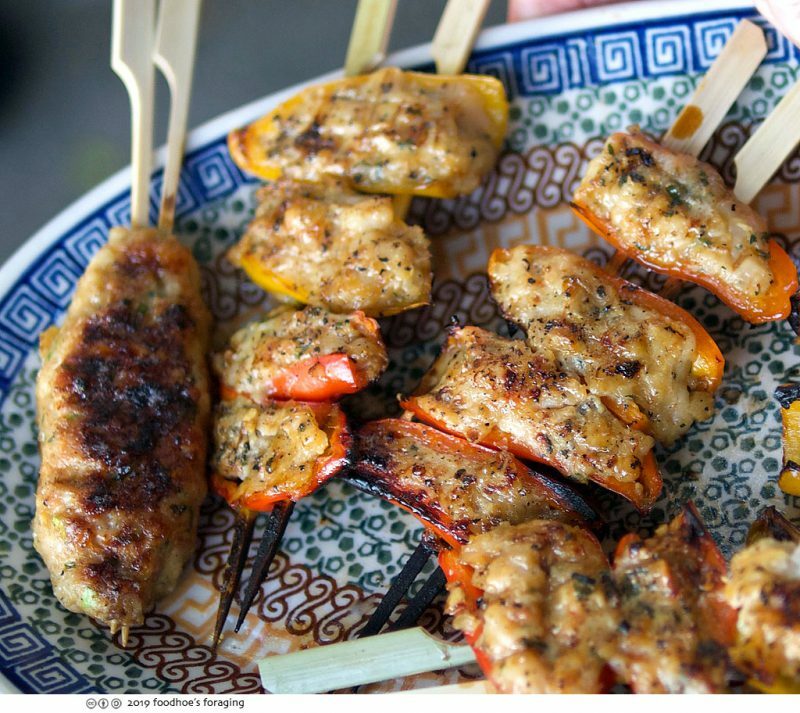 Can you buy the skewers in an Asian market? 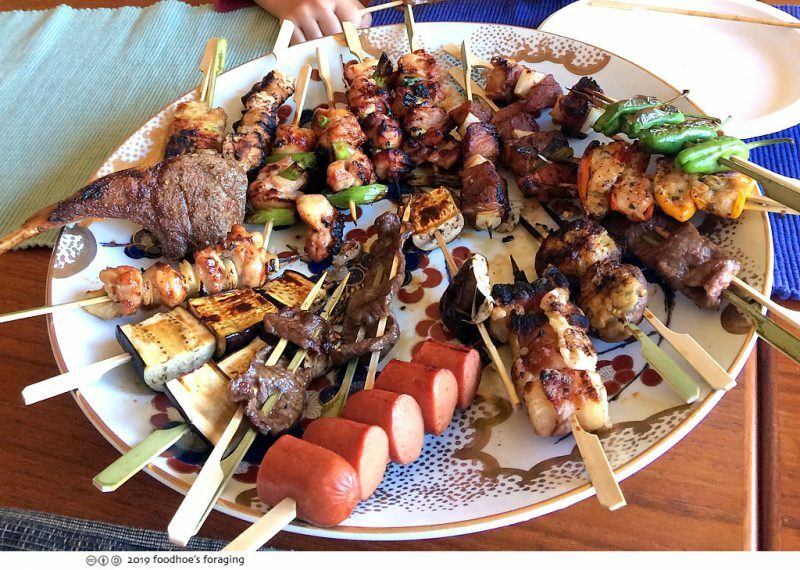 I just saw this, did you mean the wooden skewer stick part, or the sticks with food skewered on it? You can get both anyways!